Are you a web developer? Looking for a website mockup generator to place your new web template on the Apple devices? Then you should have a look at Multi Device Website Mockup Generator tool. We are happy to launch this new website mockup generator tool which helps the web developers to present their web template effectively. [Update] We have released the new version of this tool, check out our latest article on Multi Device Website Mockup Generator to have a look at the new features. What is Multi Device Website Mockup Generator? Multi device website mockup generator is a free online tool to virtually place your website on Apple devices including Apple iMac, iPad and iPhone. It gives the picture of how your responsive website looks on various Apple devices. How to Generate Website Mockup with Multi Device Website Mockup Generator? Generating your website mockup on Apple devices is pretty easy with this tool. Just enter your website URL in the input box and press “Generate Mockup” button. You can use the “PrtScr” key on the keyboard to take the screenshot of the generated mockup and paste it on any image editor and then save it to your computer. How Do I Show the Demonstration for a Client? 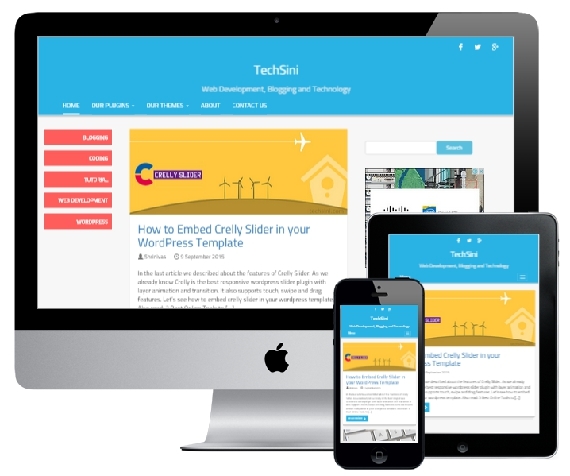 Want to show your client a demonstration of their new website on the Apple devices? It is quite easy, just append the following line to the URL ?url=http://www.example.com. Just make sure to add http:// prefix to your website URL.